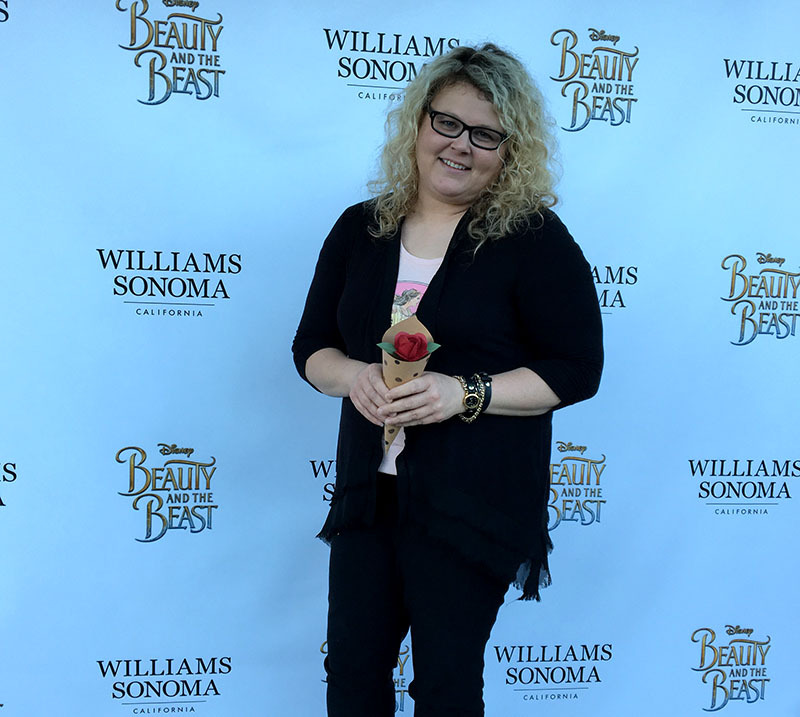 After a long day of fascinating interviews for the Beauty and the Beast press junket, the bloggers and I were invited to a fabulous Williams Sonoma Beauty and the Beast themed blogger event. I am an avid fan of Williams Sonoma products so I was very excited about this unique experience. 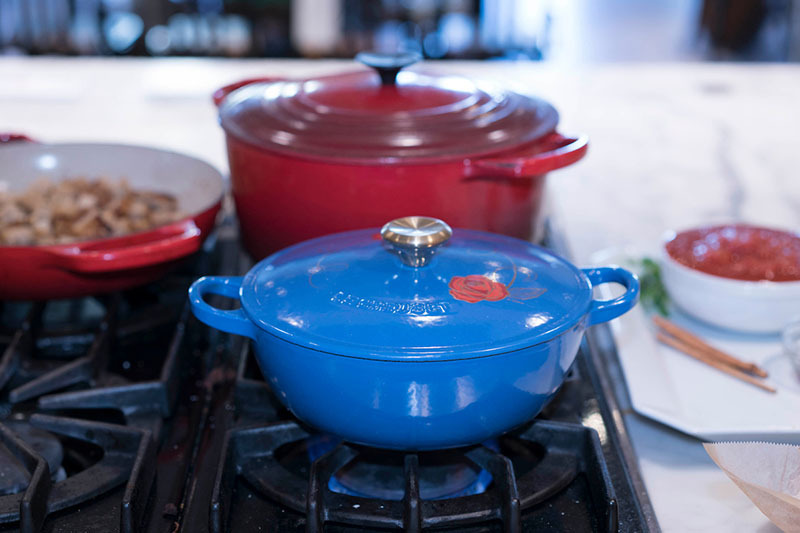 I couldn’t wait to see the exclusive Limited Edition Beauty and the Beast Le Creuset Cookware available only at Williams Sonoma. 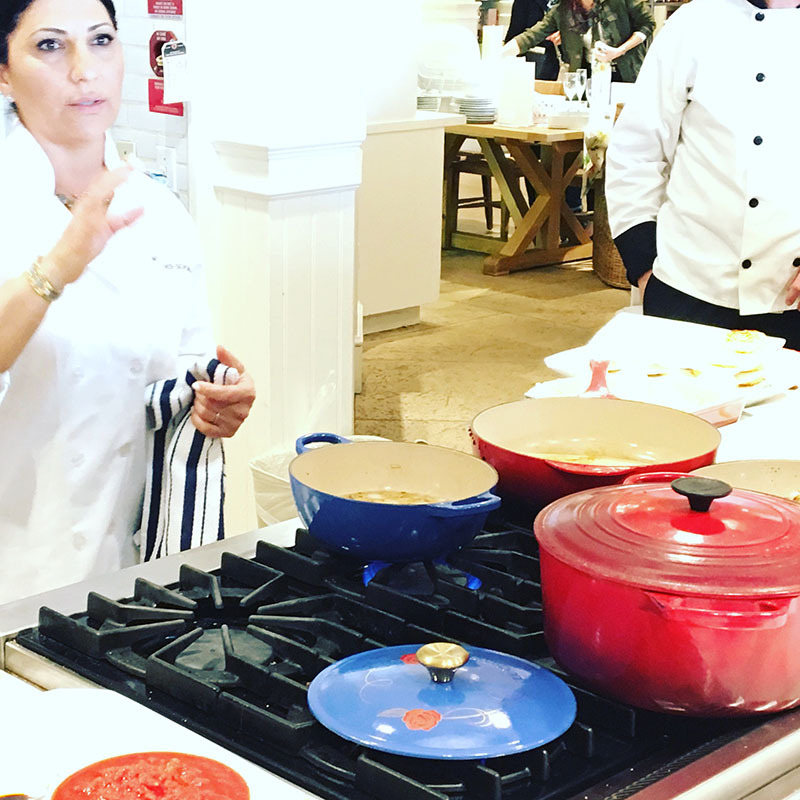 We attended the event at the Williams Sonoma Beverly Hills location. Ooh la la! 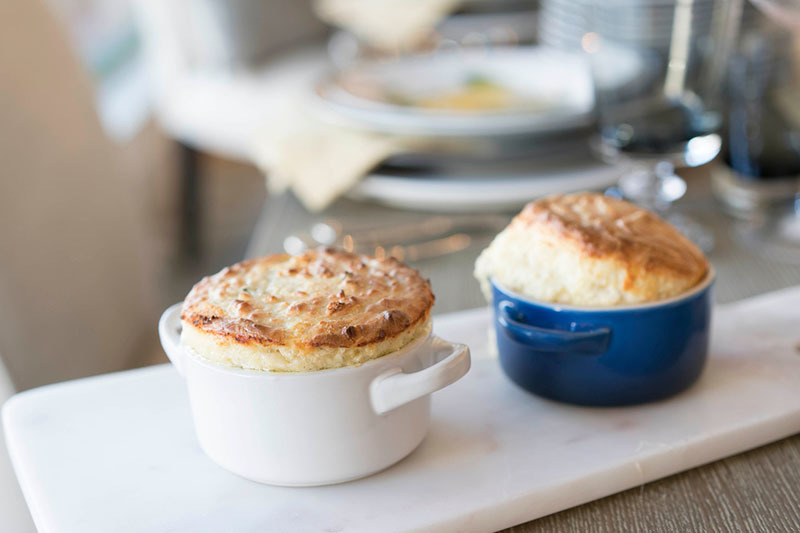 If you’ve never been to Williams Sonoma then you’re in for a special treat the first time you walk through their doors. They offer high-quality products for the kitchen and home. Their products include cookware, cooks’ tools, cutlery, electrics, bakeware, tabletop and bar, outdoor, cookbooks, as well as furniture, lighting and decorative accessories. You’ll even find a selection of specialty foods such as chocolates, croissants and cheeses. We first watched a cooking demonstration. 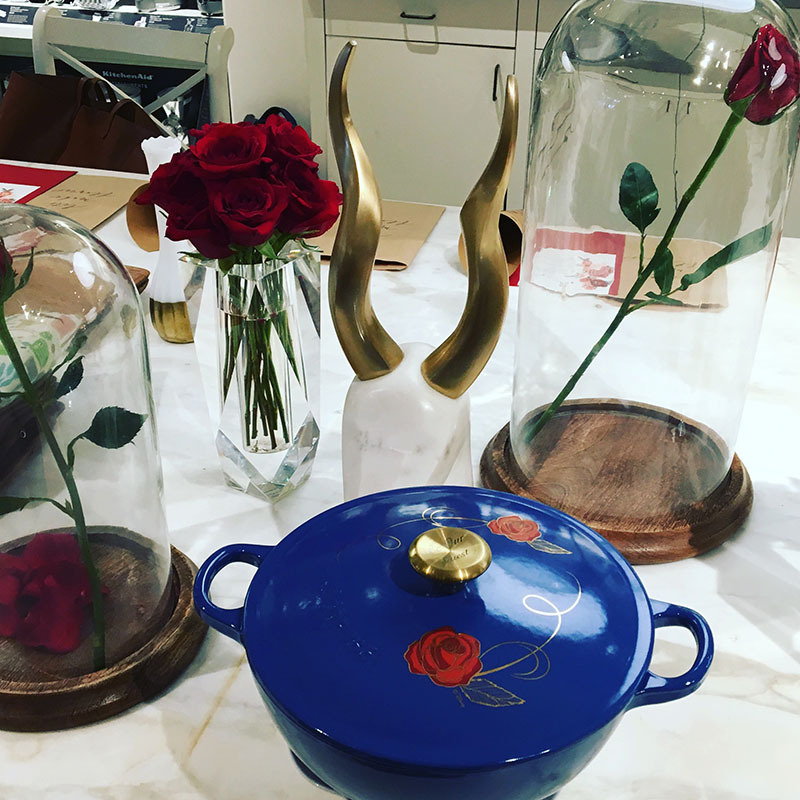 Of course, the chef used the exquisite Limited Edition Beauty and the Beast Le Creuset Cookware which I am very much considering purchasing. It’s so perfect for one pot meals and a great conversation piece for family get-togethers. 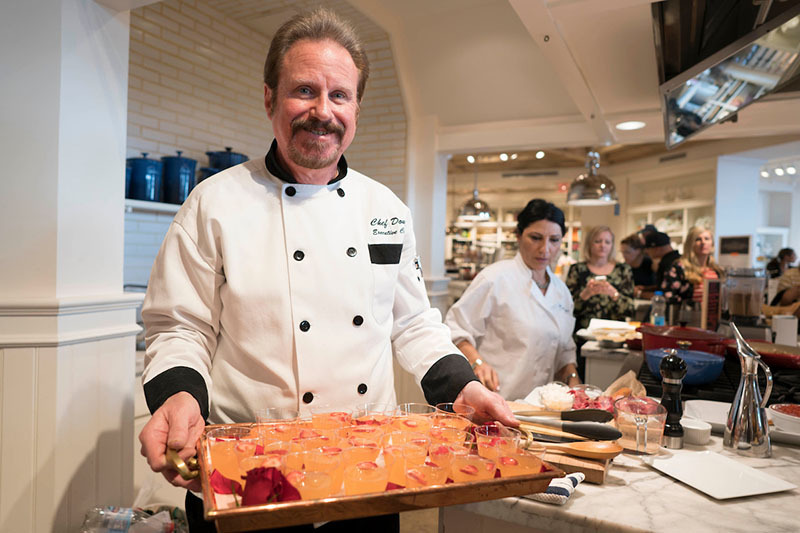 It is Williams Sonoma’s first collaboration with The Walt Disney Studios. 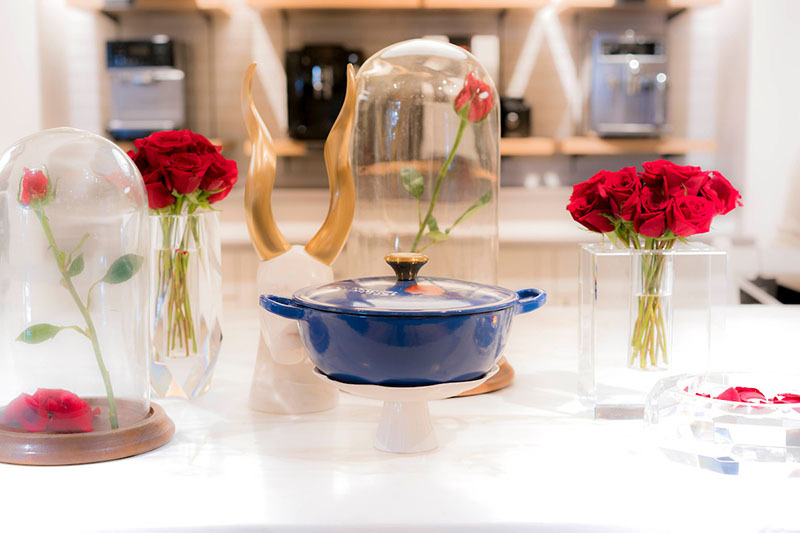 The Beauty and the Beast Limited Edition Soup Pot is now available online and in Le Creuset signature stores. During the cooking demonstration the chefs showed us how to make dishes that are mentioned in the grand dinner scene in Beauty and the Beast. Some of these included Soup Du Jour, Meat Ragu and Cheese Soufflé. These were served during our crafting session. 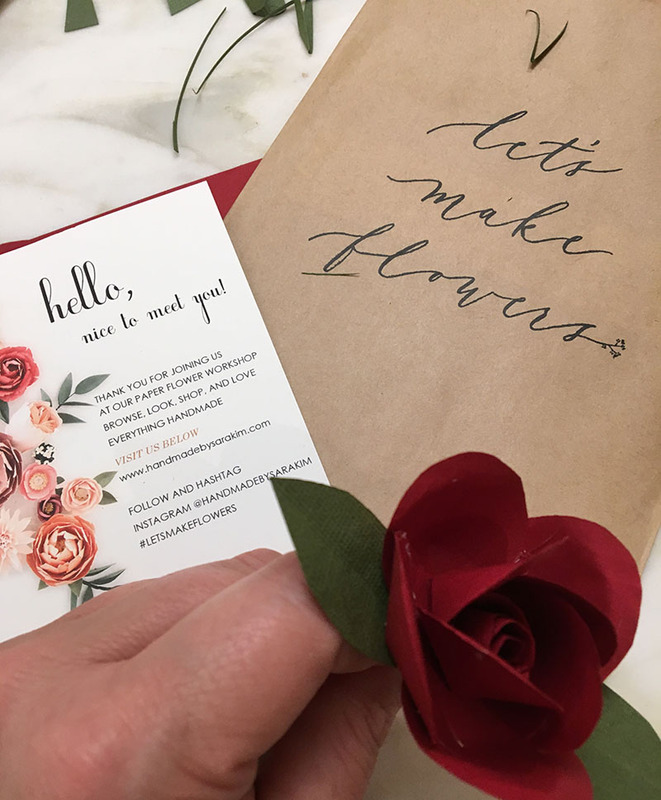 After the demonstration we learned how to make paper roses. Of course, we all know about the prominent rose in Beauty and the Beast. 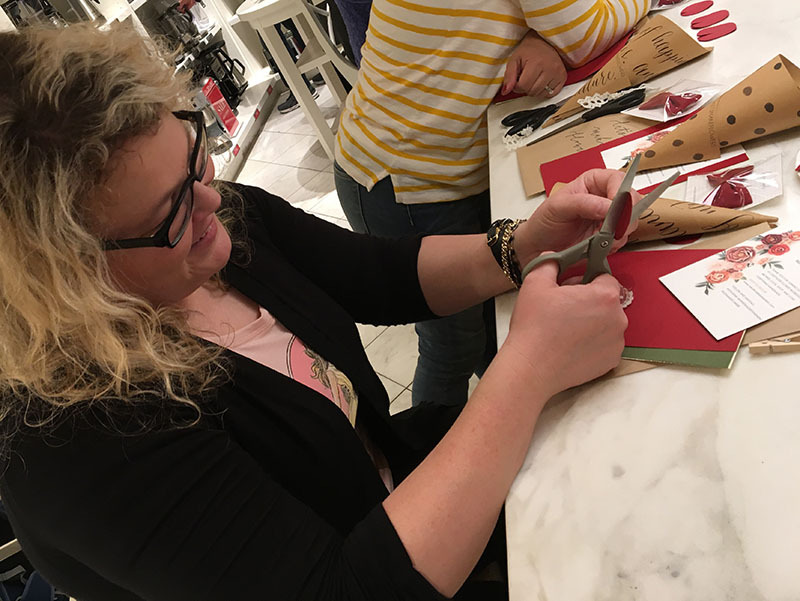 Many Williams Sonoma locations now offer cooking and craft lessons. Stations were set up for us all to join in on the creation process so we could each make our own paper rose. Even though I make a few crafty things here and there I don’t especially think of myself as a crafty person. However, I really enjoyed making the roses and didn’t do too bad. 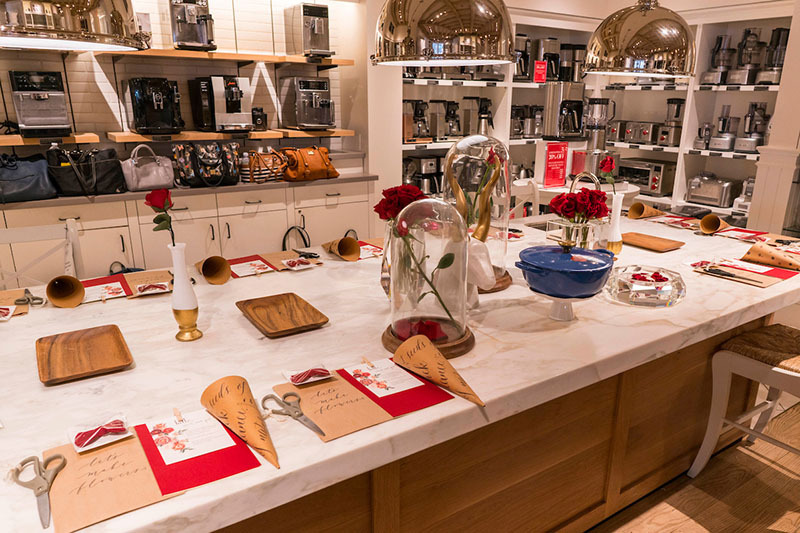 Williams Sonoma also offers a comprehensive gift registry program for weddings and other special events is available in stores and online. On williams-sonoma.com and the Williams Sonoma blog, Taste, customers can find recipes, tips, and techniques that help them create delicious meals and wonderful memories. 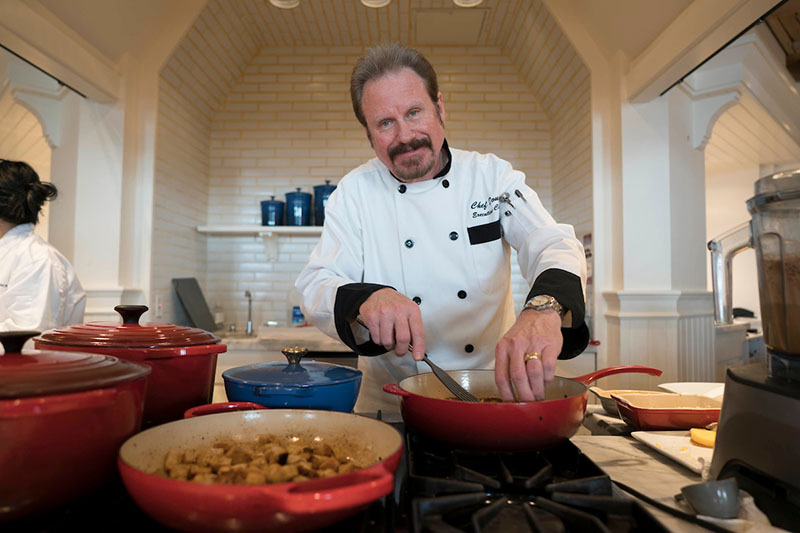 Learn more about Williams Sonoma http://www.williams-sonoma.com/. 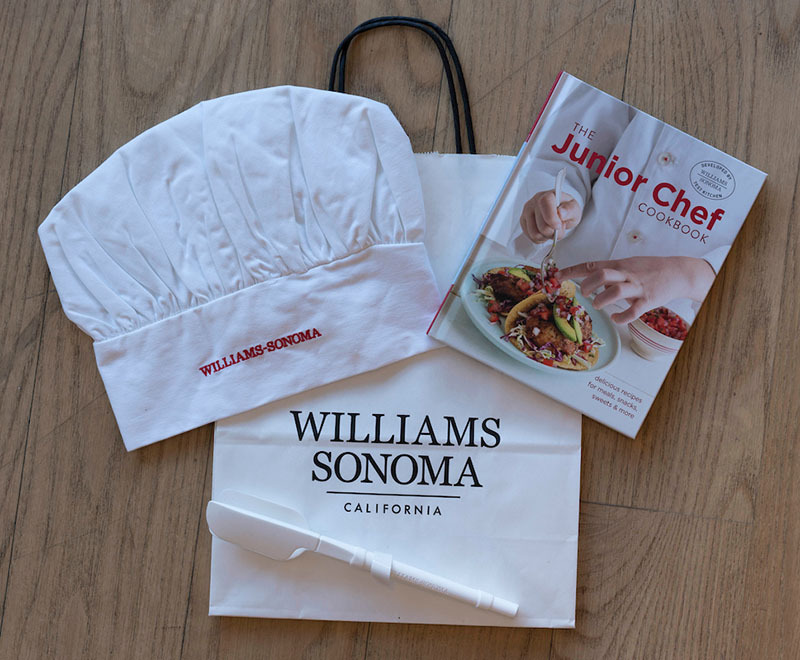 Each of us were sent home with a lovely Williams Sonoma gift bag with a junior cookbook, junior chef hat, spatulas and delicious gummy butterflies. Don’t forget! Beauty and the Beast opens in theaters everywhere this Friday, March 17th!